Box 4 Special Services is proud to announce that we have received a $10,000 grant award from the Joy in Childhood Foundation (the giving arm of Dunkin’ Donuts). This award will allow Box 4 to continue our services and to provide a better canteen and rehab service. Dunkin’ Donuts, through their Joy In Childhood Foundation, announced in late October that it had awarded Box 4 a $10,000 grant to be put towards operational expenses and truck maintenance. Box 4 is extremely proud to be the recipient of this grant award. Box 4 announces Chili Cook-Off! Box 4 Special Services is proud to announce a Chili Cook-Off benefiting Box 4 and Tedy’s Team! By now, there are two Facebook Ads going around on Facebook and Instagram advertising the calendar. Why is a non-profit organization, that depends entirely on donations, spending money on ads? Well, there’s a good reason for it. Several weeks ago, a friend of one of our members passed word along about a giveaway for Facebook and ActionSprout were hosting for Facebook Ad credits for non-profits and causes. She put in an application for another local non-profit she is heavily involved with, the Friends of Newton Hill, and recommended we do the same. We promptly applied, and shared the information with our sister organizations. Earlier this week on December 1st, both organizations received word that they were awarded ad credits. Box 4 Special Services was awarded a total of $900 worth of ad credits, spread out in three, $300 awards for the next three months. It is important to note that Box 4 Special Services will never pay for digital advertising using your donations! We are very proud of the entirely organic growth of our Facebook fans and Twitter followers, and we will NEVER pay for likes or follows. The second one is a shared post from the Worcester Pulse, and has been removed as of December 17th. These ads for the calendar will end on Christmas, and are the only Box 4 ads currently running. It is currently unknown what content will be sponsored in January and February, but it will likely go towards another fundraiser or fundraising initiative for Box 4. From all of us at Box 4 Special Services, THANK YOU for your continued support! WORCESTER’S SMOKIN’ HOT HEROES: A Calendar to Benefit Box 4 Special Services! Box 4 Special Services is proud to announce that the 2016 Smokin’ Hot Heroes Calendar – showcasing Worcester Fire’s own, is now for sale! Net Proceeds from calendar sales will benefit Box 4. To purchase the calendar, stop by at any participating Dunkin’ Donuts locations, the Worcester Fire Department Credit Union, or you can do so directly online. A full article on this is available from the Telegram and Gazette HERE. Box 4 would like to thank everyone involved for making this happen! Ever wondered where Box 4 Special Services has been and what we’ve done? Click on the links below to open Google Maps showing where we have been over the years. Please note that these maps are a constant work in progress and unless noted otherwise, it is possible that there are missing items. 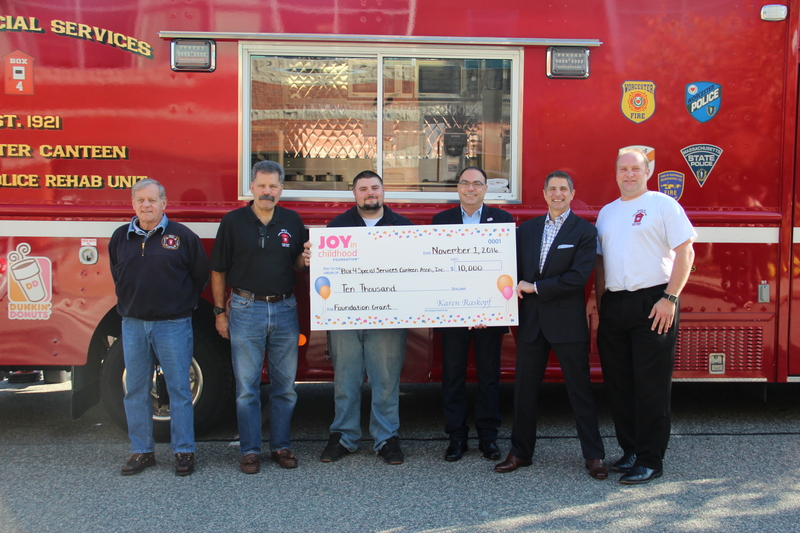 When Dunkin Donuts donated almost $300,000 to Box 4 Special Services more than two years ago to buy a canteen truck, president Steve Favulli and vice president Angelo Bengovio were thrilled, but put their foot down on one issue. 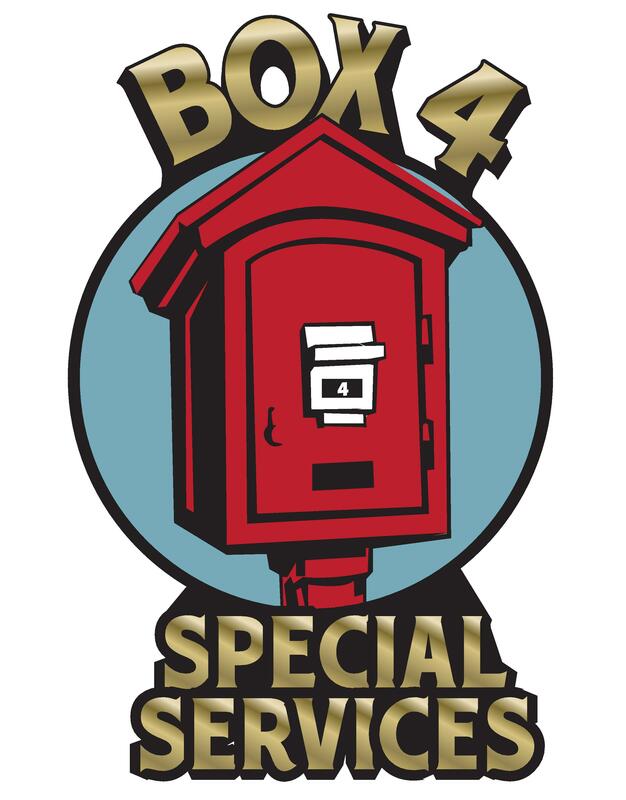 Box 4 isn’t part of the fire department, but it serves firefighters in a unique way civilians may not realize is necessary. On board the vehicle are refrigerators, microwaves, an oven, stovetop, bathroom and plenty of storage space. Volunteers, mostly former public safety employees, respond to calls from local fire departments as far away as Lawrence and deliver water, hot drinks, food, and a place for firefighter to relieve themselves – none of which is a given during a lengthy emergency situation. So far this year, Box 4 has responded to 34 calls. That is a sharp increase from the same time period last year, when the organization got 14 calls. Favulli said it is not a function of an increase in fires – it is an increase in awareness about the services Box 4 supplies. Even though departments are using Box 4 more often, the organization is technically homeless and looking for a place of its own. Right now, the canteen truck is parked on Worcester Emergency Medical Services property, and Favulli and Bongovio think they could expand the operation if a local businessman or company donated spare land or a building. Favulli estimated the organization has about 10 reliable volunteers who are usually called in when a fire reaches its third alarm. His vice president thinks the organization might be able to attract more if it had its own building. The original Box 4 was founded in 1921 when a group of local residents banded together to provide drinks and blankets to firefighters dealing with a serious fire on Main Street. Favulli said he would like to see Box 4 return to its roots, at least in terms of support from local business. The organization already enjoys a long list of sponsors in addition to Dunkin Donuts. Polar Beverages and the 99 Restaurants provide water, Osterman Gas provides fuel, Calise Bread offers discounts on bread and Direnzo Towing provides towing services. In addition, a plethora of organizations provide financial support, including Hanover Insurance, the Leary Firefighters Foundation and Paul Davis Restoration. Box 4 also draws support from public officials. Some of the funding for operations comes from donations from members of the firefighters’ union, and when Favulli and Bengovio sent out a message in 2012 inviting local politicians to come to the first meetings, ex-state Rep. John Fresolo, At-Large Councilor Kate Toomey and District 1 Councilor Tony Economou showed up to support the group. Economou in particular was singled out for connecting the group with Rob Branca from Dunkin Donuts, which kick-started Box 4’s mission. Favulli said the donation to buy the larger canteen truck – Box 4 still has a smaller vehicle with fewer capabilities – helped the organization at a time when a group of people whose main experience was fighting fires was trying to start a charitable organization, mostly from scratch. While we have appreciated all that Worcester EMS has done for us, the time has come for us to find a home of our own. We are limited to what we can store at WEMS’ garage, and we have reached a point where our storage space has become a limiting factor in our operational capability. By acquiring a home of our own, it would allow us to operate as a organization much more efficiently than what we currently have.